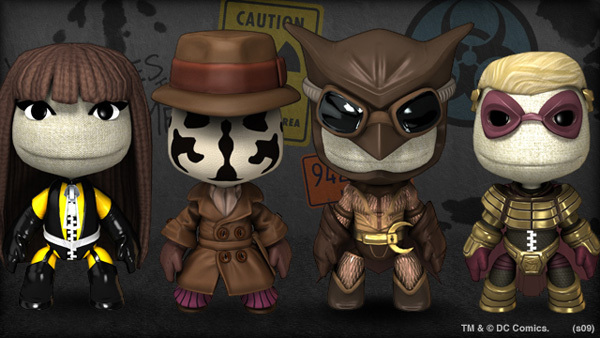 This Thursday, the Watchmen will come to save LittleBigPlanet from hoodwinks, in a new costume kit that allows you to assume the identities of four key characters from the acclaimed graphic novel, and its recent movie adaptation. The costume kit will also come bundled with some Watchmen themed stickers (and the costumes will be available individually too). How many Watchmen would a Watchman watch if a Watchman could watch Watchmen?